I love pesto. But I have always been a little intimidated to make it. It never seemed to turn out the way I wanted it to. I have been attempting to cook a little bit heart healthier. (Baby steps, my friend, baby steps.) I have a whole canister of flax seeds and earlier this spring I planted a ton of basil. Did you know you can sub out nuts in pesto for flax seeds? Well you do now! And it tastes great. 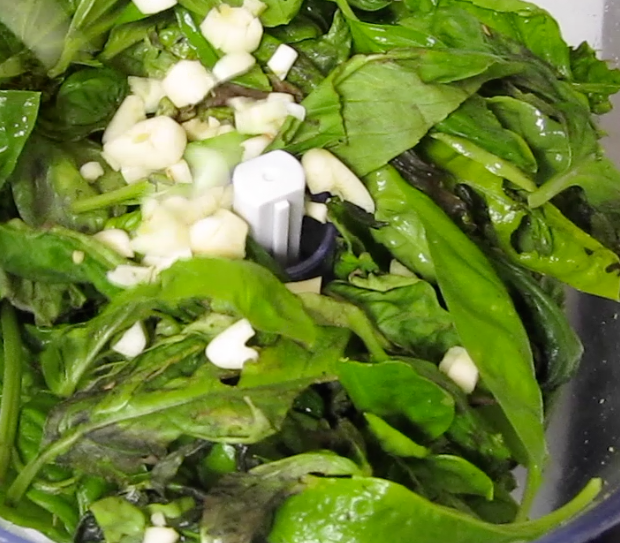 Combine your basil, lemon juice, garlic and flaxseeds in your food processor. Pulse the mix and in your oil a little at a time. Then add in your cheese.